When it comes to website hosting, not all hosting services are created equal. We pride ourselves by hosting our own website with fully redundant power sources, world class equipment and state of the art service. 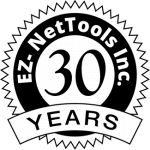 EZ-NetTools tries its best to cover all of the bases with our customers. From simply needing your website hosted to getting your business found on Google Search, we can bring the things that you need. With the purchase of any website hosting package, you get full access to the Plesk server manager, allowing you to manage your website and its files easily and securely.